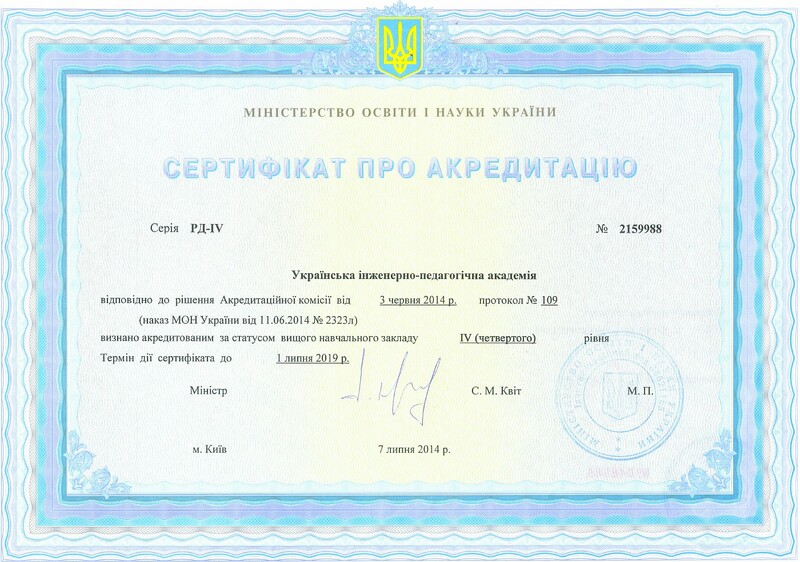 Ukrainian Engineering Pedagogics Academy is a modern specialized educational and scientific center licensed and accredited by the Ministry of Education and Science of Ukraine. The academy is widely known outside Ukraine, it is the member of the International Organization of Engineering Pedagogics (IGIP). The history of the Academy began in 1958, and since it has invariably high level of training of specialists who on the basis of engineering knowledge and deep psychological-pedagogical training receive engineering and pedagogical specialties. It provides the graduates of the Academy with the chance to carry out important social, professional, production and technological activity on ensuring high level of training in the system of professional education: teachers, methodologists, masters of industrial training in professional vocational institutions (vocational schools, colleges, technical training colleges, lyceums and comprehensive schools) and highly skilled engineers for the industrial enterprises. Educational Scientific Professional Pedagogics Institute situated in Bahmut city. Educational system in the Academy carries out continuous multilevel training on educational and qualifying levels: Bachelor – Master. Students of full and part time departments in the Academy have the possibility to receive the second specialty, and also a working profession. The system of scientific pedagogical personnel’s training which includes doctoral candidacy and postgraduate course operates effectively. In the Academy there are scientific students’ organizations and circles of amateur performance which give the chance to realize hobbies and widen the scope of interests. Sports is an inseparable part of student's life. Students who arrived for studies from different regions of Ukraine, as well as foreign students live in 3 hostels. 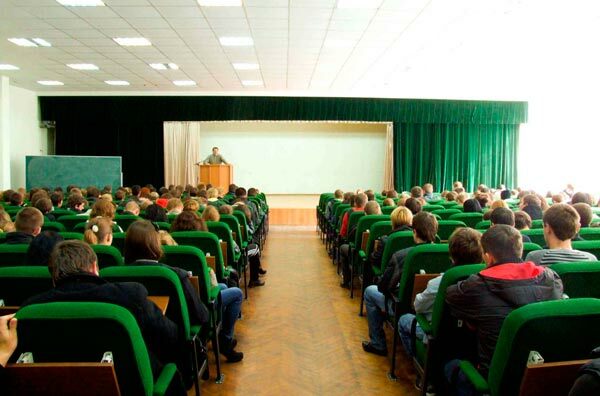 In Ukrainian Engineering Pedagogics Academy there are all conditions for development of scientific schools in the field of pedagogics and engineering psychology, there are also 4 specialized academic councils on defence of Ph.Dtheses. There is functioning center of training of the international teachers-engineers, the scientific and methodical center of engineering pedagogical education. 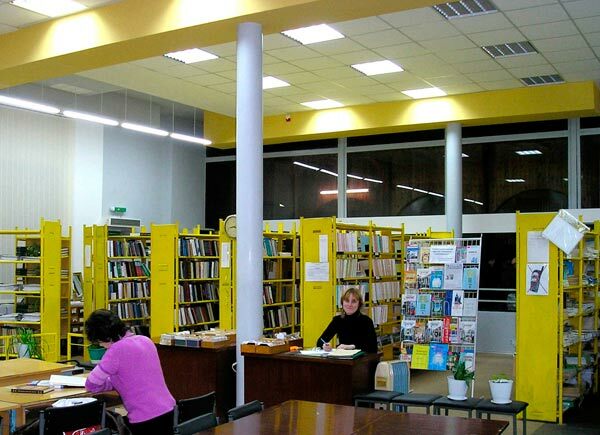 The library of the Academy has one of the largest in Kharkov funds of educational, educational and methodical, scientific and fiction literature (more than 900 thousand copies). There are 3 reading rooms in the library, 2 of which are situated in students’ hostels. For the years of its existence Ukrainian Engineering Pedagogics Academy prepared more than 70 thousand of specialists working in Ukraine, CIS countries and other foreign countries. Graduates of the Academy at different times held executive posts, among them there were 2 ministers, 2 deputy ministers, about 3000 directors, leading specialists of industrial and scientific institutions, heads of educational institutions, public figures. In 2000 the licensed Center of Training of Foreign Citizens started its work. The Center includes preparatory office which carries out foreign school leavers’ training. During one academic year (2 semester of training) students along with studying the Ukrainian (Russian) language, receive necessary knowledge of mathematics, physics, chemistry, biology and other fundamental sciences.